Kousuke Toriumi's book「てきとう」(Tekitou) was released last May 16, 2016 (exact date of his birthday). It has 125 pages, paperback and semi-glossy pages. Its dimension is 8.3 x 5.8 x 0.3 inches. 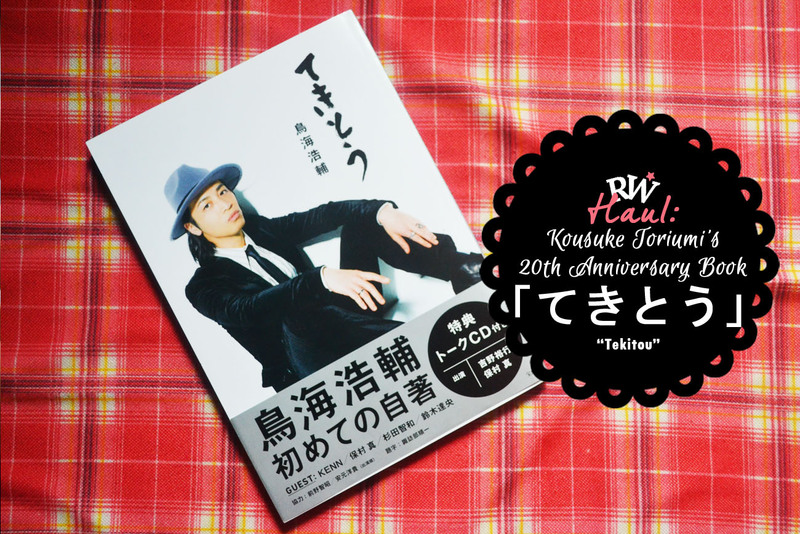 てきとう」(Tekitou) book contains lots of interesting stuff about Kousuke Toriumi (or Tori-san / Toriumi-san as what fans and fellow voice actors call him). 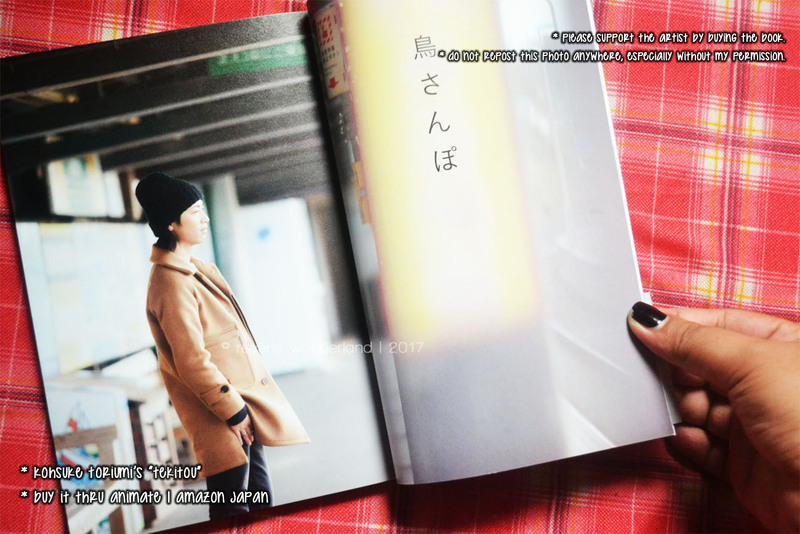 But the main topic of the book is about Tori-san's story about dieting. Toriumi-san's size comparison from 2014 to 2016. He lost up to 16Kg. 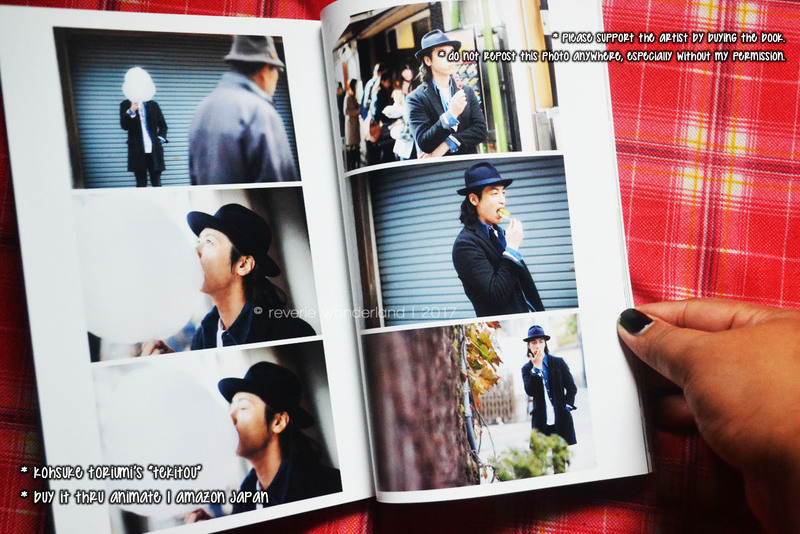 As I mentioned above, this book contains the story of Tori-san as he undergo on a diet. 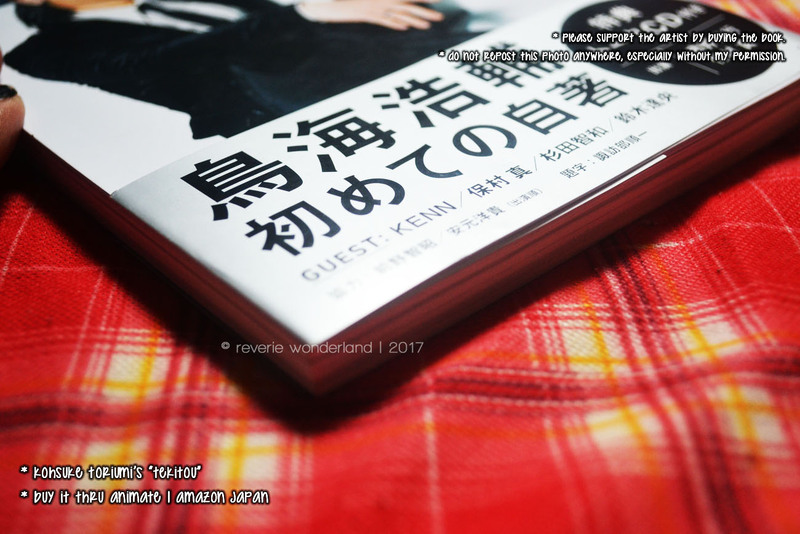 Since everyone knows that he can cook dishes, he did share Japanese hot pot dishes and salad recipes with detailed procedure and ingredient list inside the book. 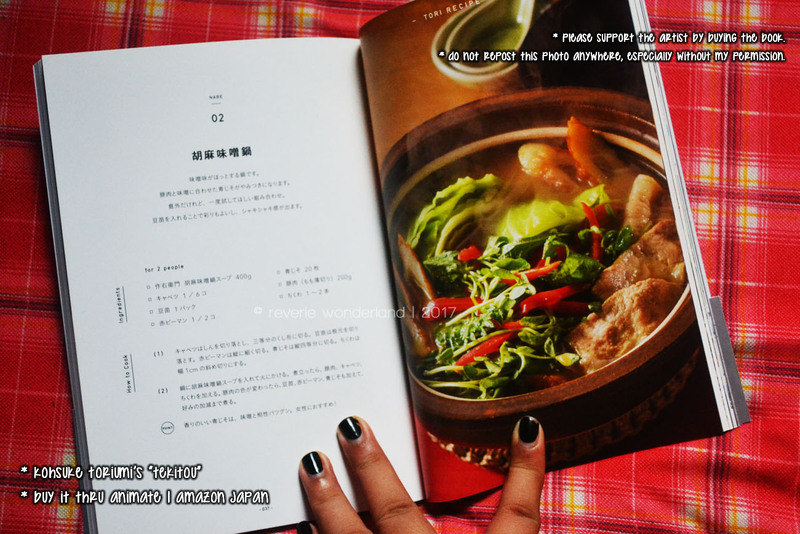 One of the hotpot dish that you can see inside the book. 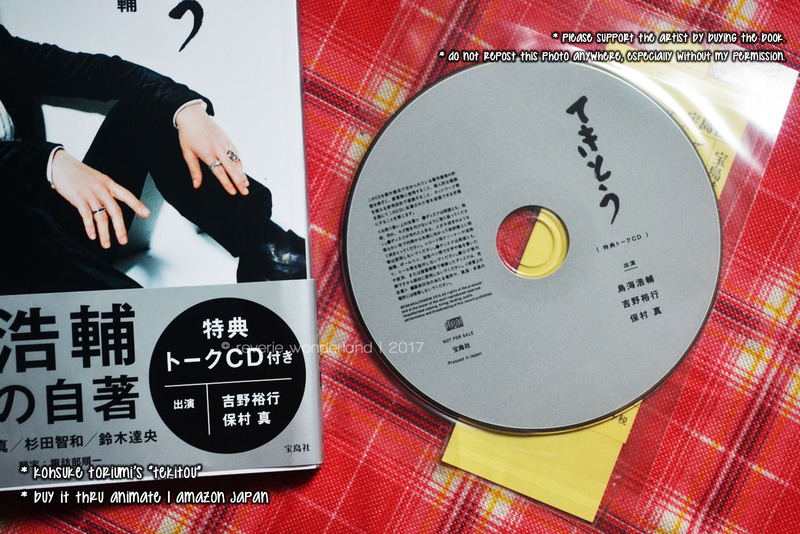 Aside from him, there's a section where voice actor KENN and Yasumura Makoto shared there dieting secrets with the help of Toriumi. Though there are more text than images inside the book (as what I expected), if you're a big fan of Toriumi, you'll know about his skin care routine and a section 'What's inside my bag' where he presented the things that he usually brought to work. There's also a Talk CD included inside the book. Be sure to purchase the book to show your support to everyone behind its production! If you are a Japanese-resident, you can purchase it at Animate stores. 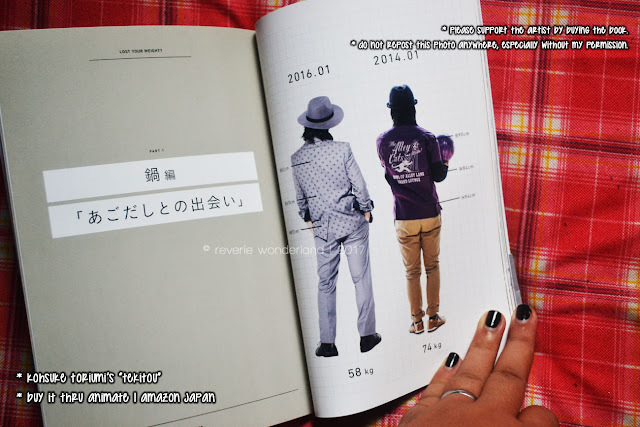 If you are a non-Japanese resident like me, you can buy the photo book thru Amazon Japan. If you have a copy of the book, please don't scan nor reproduce it. Let's avoid some copyright issues and of course give our support for the staffs. 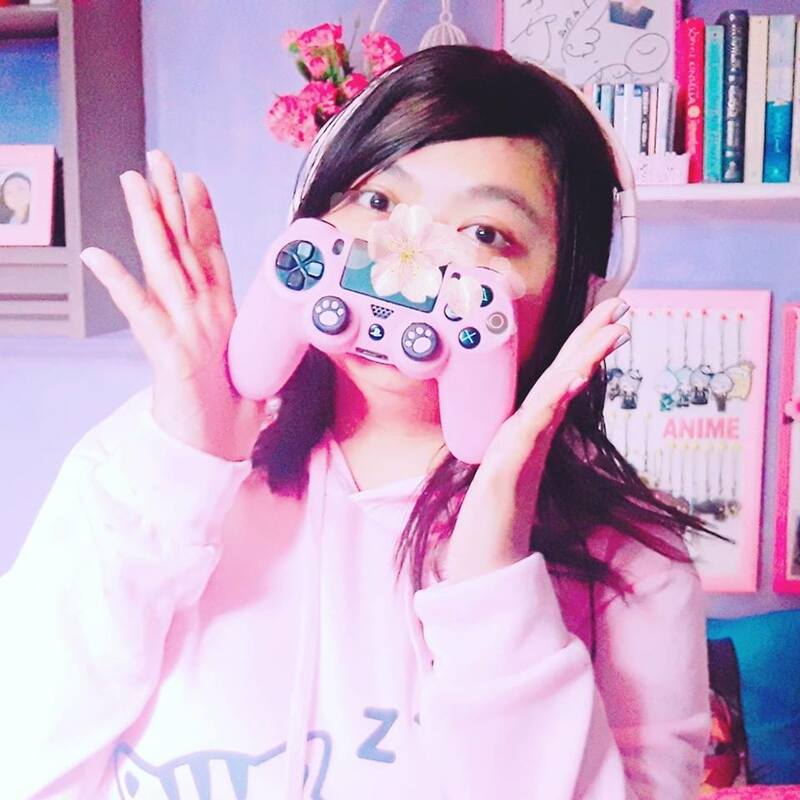 Please don't support scans if ever they've been available. 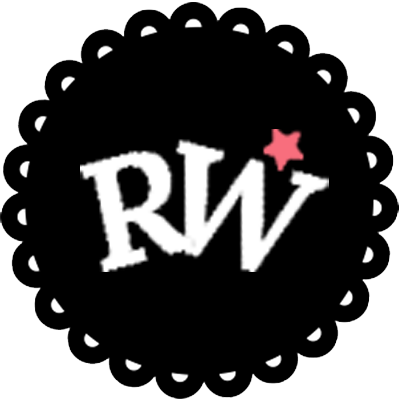 All photos uploaded here are blogger's owned. No one has the right to reproduce/repost it anywhere and remove the watermark especially without my permission. Do you love Kousuke Toriumi? If you do, feel free to comment which character of him is your favorite!